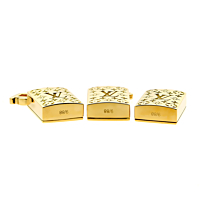 This very rare Louis Vuitton "Mahjong" tile set was made in 18k yellow gold on the occasion of the grand opening of the Louis Vuitton boutique in Hong Kong. This is number 9 of that very limited edition of 88. Each tile is numbered 9/88 and carries the iconic Louis Vuitton LV logo. 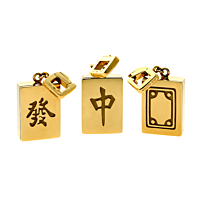 They can be worn on a charm bracelet or also as necklace pendants.